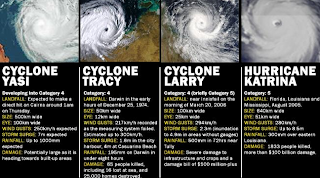 Cyclone Yasi. 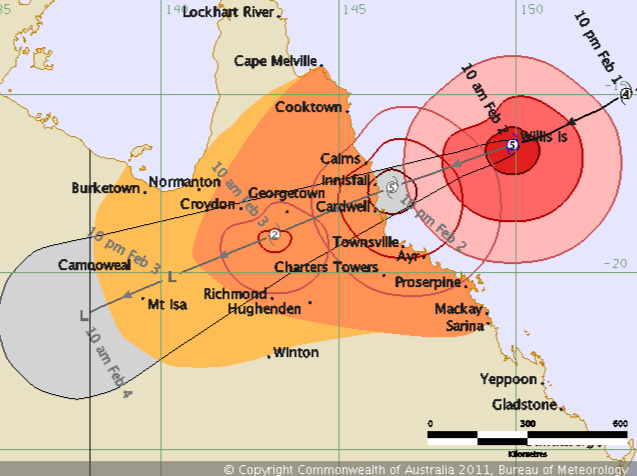 The monster of a cyclone about to hit the eastern coast of Queensland, Australia. For those who do not know of this disaster about to begin, here is a bit of information for you to read about. 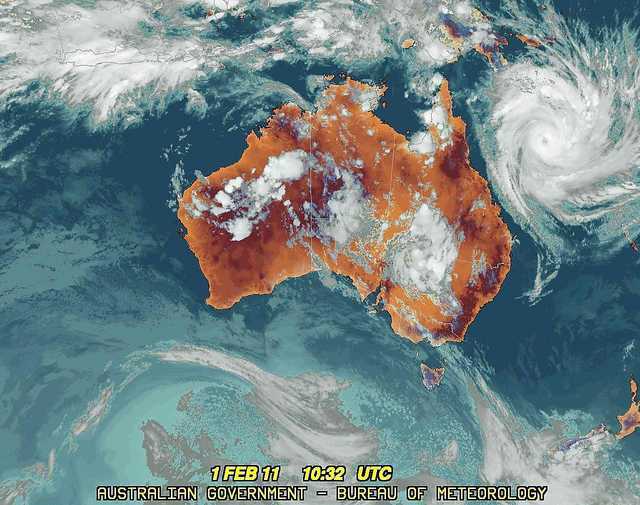 The large white whirlwind shape to the right is the monster Cyclone Yasi, as you can see it is almost half the size of Australia..
"Premier Anna Bligh tells residents they have about three hours to get out before cyclone Yasi starts to pelt the Queensland coast.The Bureau of Meteorology has warned the storm is "likely to be more life threatening than any experienced during recent generations" and predicts winds of up to 320km/h and 2m tidal storm surges. " 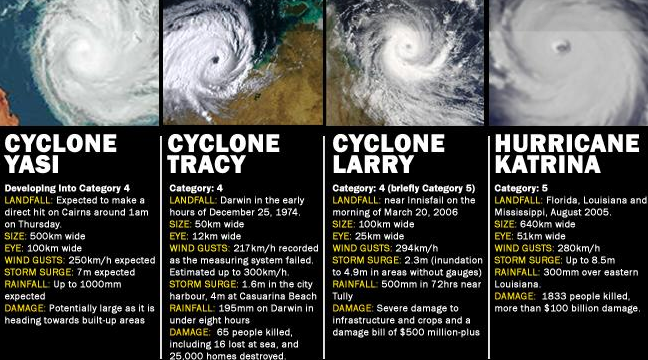 Here is the comparison of some of the worst storms the world has seen.. Follow this link to the News.com.au website to find out more, they have live updates that are extremely helpful with keeping up with the situation. We can only prepare as much as we can and brace ourselves for the devastation about to come. From every angle we are being told to evacuate, however, I am still torn as to what to do. Do I go and leave everything behind and everything I've ever known, or do I escape with some hope that I will return and things may not be as tragic as I thought? For now I am staying home and waiting upon the next news at 2pm to make a final decision to whether we should escape our town or not. It has been a dark few days...I have had little sleep as I've been watching the weather forecasts around the clock. Here is the latest forecast from the Bureau of Meteorology. I'm off for now, to do some more waiting, please everyone in the affected areas..stay safe! I hope to see you again after this disaster is over, and so help me God I hope it's not that bad.